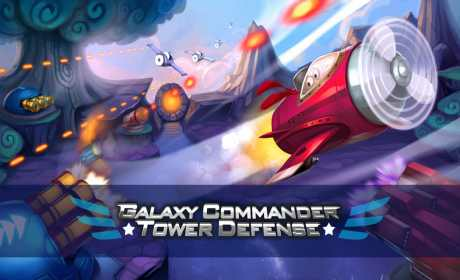 Galaxy Commander Tower defense is the most anticipated and visually stunning Tower Defense game in the theme of Galaxy defense. We hope give you enjoy an incredible game experience. * 40 maps Campaign levels & enjoy the endless mode! 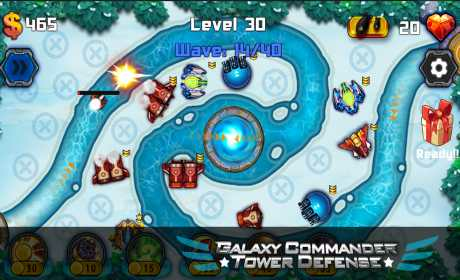 * 6 types of towers, Gun Machine, Slow Tower, Missile tower, Laser tower, Ice tower, Fire tower. 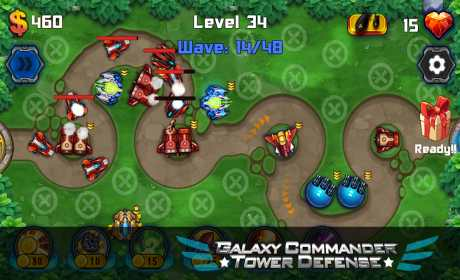 Each tower has 4 upgrading levels. * 2 game modes: Campaign& Endless.